I’ve been thinking a lot lately about what it means to be a high performer. I’m in that category and it has been an extremely beneficial character trait, but also a character flaw. I’ll take the good with the bad and downright ugly, after all, it’s what makes me, me. And you, you. There is a dark side though, pieces that don’t often get said out loud. That’s what I’m writing about here. 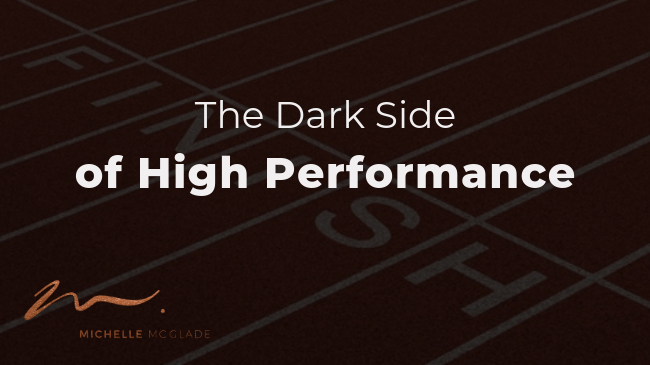 Not just the downside of high performance but the dark side…including the lies we tell ourselves and the truth on the other side. I came across this great article on Medium: How to Finally Be Enough: A Guide for High Achievers Battling Anxiety. Anxiety is a real thing for high achievers and you’re likely struggling in this area in some way whether you know it or not. I did not know it for a long while. Here’s what I know that you may not yet – you are insatiate by the success you are achieving – and you can’t quite put your finger on why so you keep looking outward to fill a what’s missing inside of you. Hint: nothing is missing, it’s there, you just need to unlock it. And if you’re not yet exhausted by this pattern, I promise you it’s in the mail. Your insatiable addiction to achieve is fueled by overworking and that is not sustainable. You’re telling yourself a big fat lie day in and day out; happiness is not right around the corner. You’re looking very successful on the outside, but feeling unsuccessful on the inside. The challenge for high performers like you and me is that it feels impossible to say this out loud. People around you envy your picture perfect life and may only receive your feeling this way as simply ridiculous. Stop complaining. You’ve got a great life. This will be compounded by the fact that you struggle to articulate exactly what the problem is because you yourself can’t quite put your finger on it. So how do you articulate it? How do you put your finger on it? There is no article or program or course I can point you to, it’s individual to you. We are complex puzzles called human beings and it takes a bit of internal work and unraveling to unlock what is inside of you. 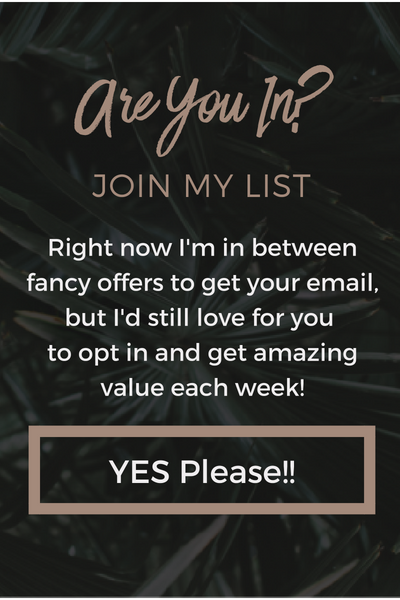 If you are seeking a change and ready to do the inner work, let’s have a chat to see if I can help. I can share one thing that has elevated my level of daily happiness. PRESENCE. Practicing presence each and every day. Journal. Meditate. Express gratitude. My favorite teacher in this area is Eckhart Tolle. Checkout this video for how to practice presence in your life and watch your level of happiness climb. Are you highly competitive? Do you love to win? Me too. Actually I hate losing more than I love to win. So if I can’t win I don’t like to play and I know that’s true for you too. If you know you can’t win, you retreat. You actually retreat whether you realize it or not. You don’t act when you do not know. Let’s get real on how this is holding you back in every area of your life. Most high performers stay in the safe zone. Go through life bored, achieving but not working to their true potential for fear and anxiety they will be found out as worthless. And if you’re lucky there will be a nagging little voice telling you something is off. And if you’re really lucky, you won’t wait years and years to do something about it.